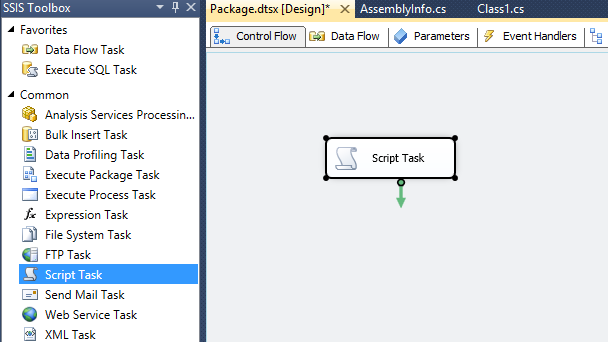 This article teachs you how to consume/use third party DLL or assembly via a SSIS package script task control. 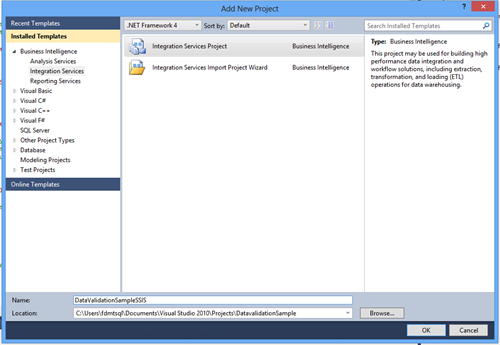 This script task control is a SSIS common control to perform functions that are not provided by the standard Integration Services Task. For Example, moving processing logic from external batch or script files into the package, or invoking a third party API as part of the control flow. 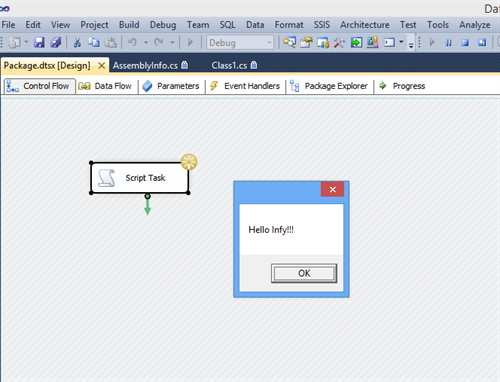 This is the control where you can write the C# or VB code to execute in the part to SSIS packages. 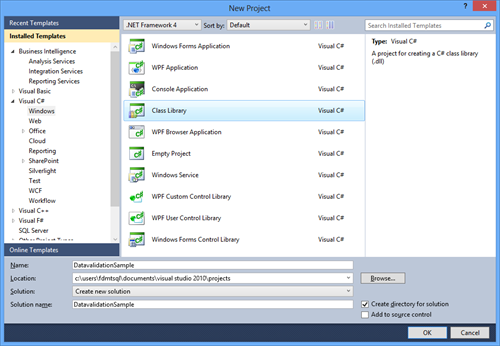 Start Visual Studio to create Class Library Project () to create DLL or Assembly. 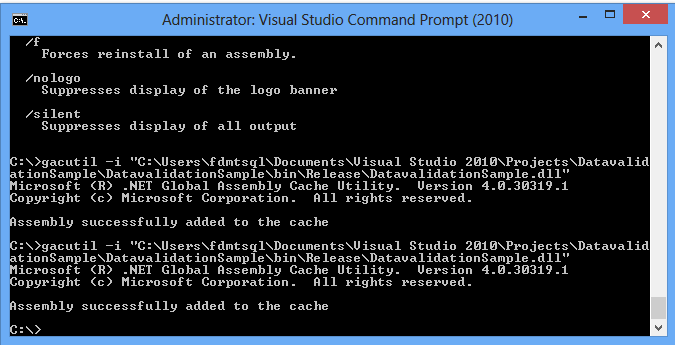 Write your code in Class.cs/vb file, compile it, sign with string name and place it in GAC. 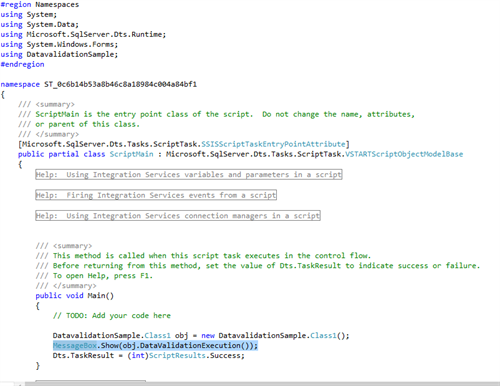 What is Script Task: It’s a SSIS common control, it performs functions that are not provided by the standard Integration Services Task. For Example, moving processing logic from external batch or script files into the package, or invoking a third party API as part of the control flow. iv). Than edit the script task & add the reference of new DLL (DatavalidationSample.dll) as shown in next step. When we click the edit button from the script task properties, it will open as shown Vista Project Editor, then please follow the steps to add the reference in it. v). The DLL has been added in references. vi). Please click Save all. iii). 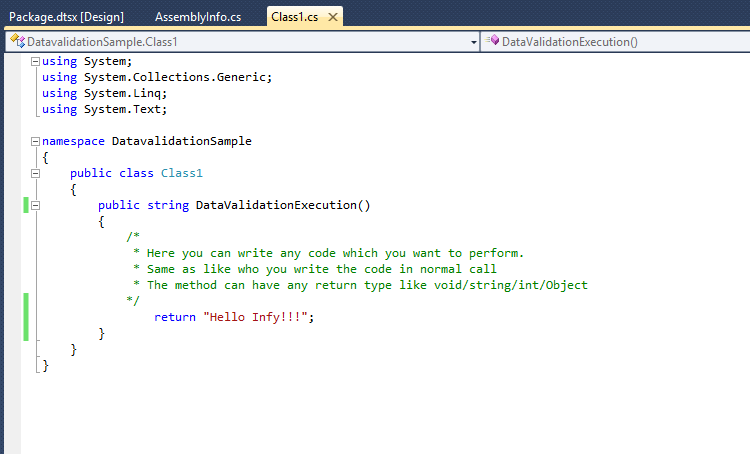 Call the method which you want to execute (see the highlighted part in snapshot). On execution of SSIP package, the Message Box “Hello Infy!” is displayed, this text is sent by the DLL.